We are available all seasons, working around the year! I have been with many different web hosting providers and I am voluntarily writing this review because I am very satisfied with ScopeHosts Services especially after sales support staff. No waiting for hours to get my issues resolved. Many times I get my issues resolved just by chatting with the technical team then and there itself. I'Ve had been with several hosting companies over the years but ScopeHosts Surpasses them all in all the possible ways. 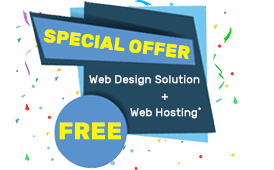 "ScopeHosts has proven to be our trusted partner in providing high quality web hosting server. They have excellent support response and speed levels are great. We have been with them for more than 3 years now and found their seamless solutions 100% perfect for our needs." "Scopehosts is the best web host I have encountered so far now. I am using Wordpress hosting service by Scopehosts, website is available continuously without any downtime due to the 99% uptime service." "The feature that distinguishes Scopehosts from other hosts and outshines it in the hosting industry is that the quality of hosting service provided along with Best Hosting support." "Using Blog hosting service past a year. I'm really satisfied with the resource being provided and the level of security provided to the customers to safeguard all our important files and data." "Scopehosts has fulfilled all my hosting requirements with utmost priority from the very beginning till now. The uptime provided by Scopehosts is really excellent with other great resources to keep my website available round-the-clock." "Scopehosts has assisted me in migrating my websites from the previous host. I am indebted to the customer support team as it provides very unambiguous solutions concerning to any hosting queries." "My experience with scopehosts is been good so far. I was able to notice growth in my business. Highly configured Reseller hosting plan was just perfect choice for my all web applications." "Scopehosts is worth to choose. I received responses within a blink from support, they also have an Instant setup for hosting services and choice of applications to install." "Scopehosts support is available around the clock and the staff provide respectful and helpful assistance with anything from technical difficulties." Beyond impressed with ScopeHosts. Every time their team goes above and beyond with any issues I have going on. "Using ScopeHosts Hosting services for past 3 years and I had no problems with them at all, their uptime is superb because I have seen rarely my website go down and never faced any issues with data backup." "If you have a WordPress or similar site, and are looking for the most features for the lowest price, they are your solution." "If you want Fastest VPS hosting or similar one, and are looking for the most features for the lowest price, they are your solution." "I am pleased with the courteous and convenient service provided by the support team, who are very knowledgeable and polite." "Scopehosts is a really great host. My Managed VPS account was set up quickly and without much issues. There uptime is great and when I have any question their staff answers it quickly and promptly with the utmost respect." "Feels great to share my experience with the best host. Scopehosts provide very good quality of services with grat hosting benefits. Scopehosts support team is really awesome, they answer you quickly and they try their best to help you. So far so good, hope it continues this way." "I moved to Scopehosts from another hosting provider and was shocked and satisfied as well by their good service. Uptime is excellent, customer service is a delight and very cost-effective plans." "Scopehosts is worth to choose. I received quick responses from support, they also have an extensive choice of applications to install. Scalability at ease is the best feature the Scopehosts possess." "I am using Scopehosts from last 5 months, and its good to that i chose Scopehosts. I was provided with instant setup of Cloud VPS as soon as I was done with the payment." "The best thing of Scopehosts is that it has 99.99% uptime, affordable feature-rich services with great quality. Scopehosts is the ideal host for providing very reasonable services with no compromise in the quality of services"
"I think the Scopehosts main website is very well set up. It is easy to navigate and it has very clear and comprehensive instructions, easy to understand even for a layman who is not so sound in technical knowledge." have recommended Scopehosts to friends and colleagues as a great low-cost web hosting service provider with top-quality hosting solution.I was given quick and correct support whenever needed. "I have been with Scopehosts for at least 3 years now and they always go beyond the call of duty to help me to run my sites with ease, there friendly and patient technical support and overall service is commendable." Scopehosts, best known for Business hosting service has helped to grow my business to a notable extent. Switched to Scopehosts, to fulfill my website requirements to the core and mainly trouble-free business hosting service. It’s been a pleasure of being a client of Scopehosts. The Business hosting plans are very affordable and achievable. Also I am able to gain custom-built hosting plan matching my business needs. Scopehosts incorporates SSD drives with all the hosting services, which boosts up site speed performance. Scopehosts business hosting service Yields good reputation when comes to the support given to the clients.